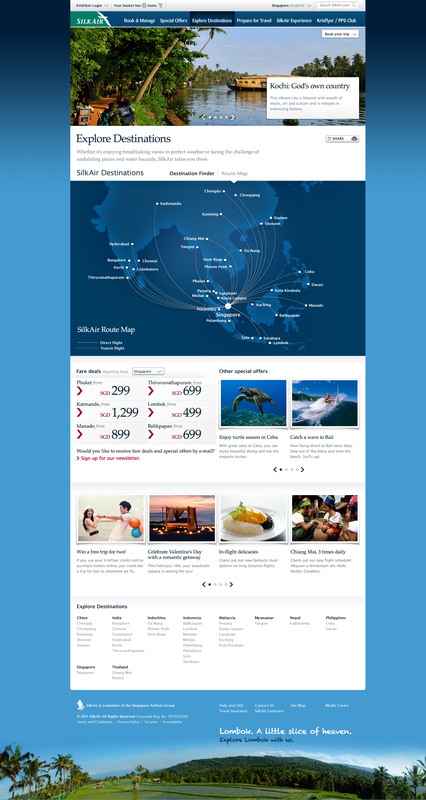 What: Redesigning the website of Singapore Airlines’ regional carrier, SilkAir. 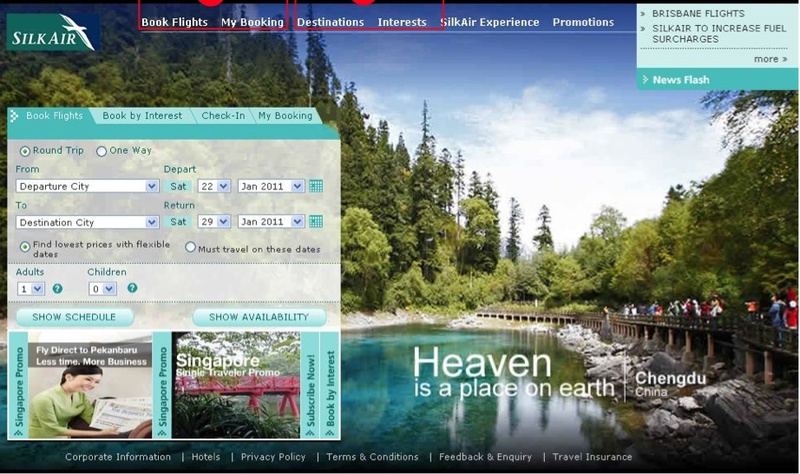 The new SilkAir.com was to run off the same backend of its parent’s site, but provide a distinctive experience of its own; one that highlighted an adventurous, exotic nature, focused on destination-specific activities, full-service cabin offerings, and its Asian heritage. 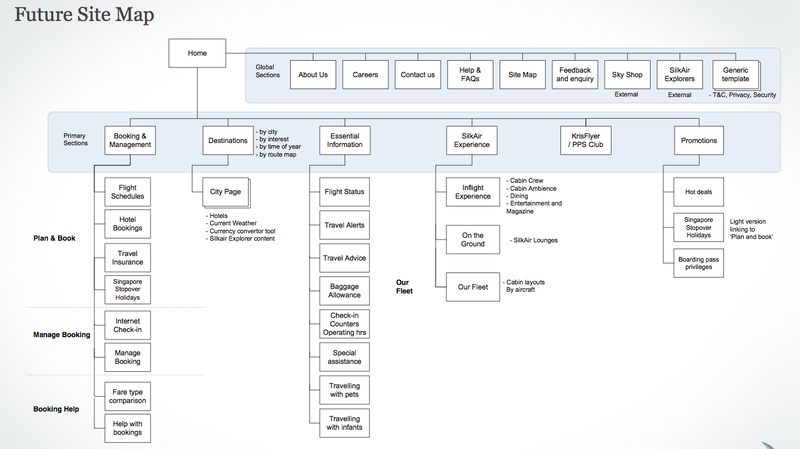 Our tools were appropriately epic photography, engaging and knowledgeable content, a thoroughly modern approach to web design, and getting out of the user’s way with streamlined flows and a rethinking of the form fields that are on every airline’s homepage. 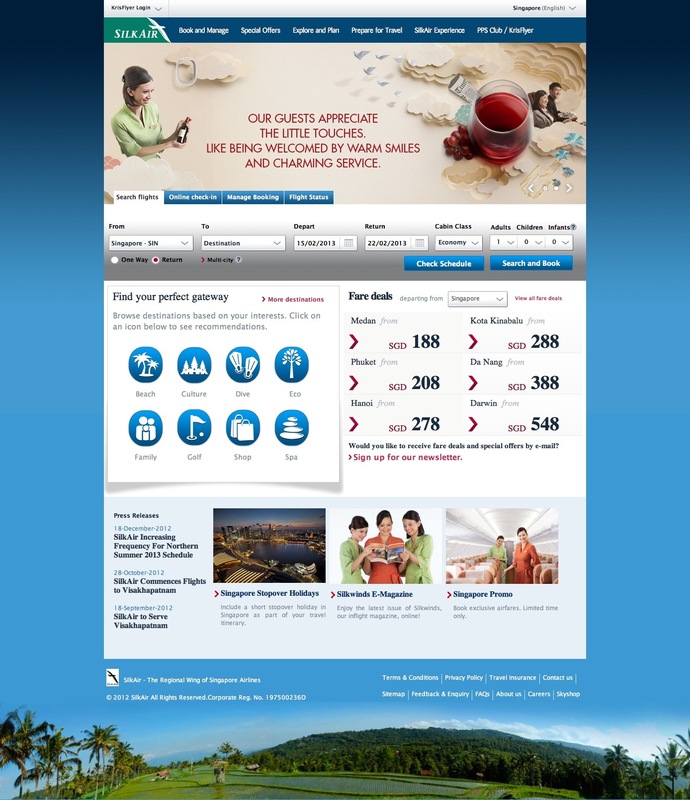 Before: SilkAir.com homepage in its entirety, optimized for 800×600 displays. Detail of homepage from final design, featuring a single-row flight search form, browsing by specific interests, and clearly-marked deals. 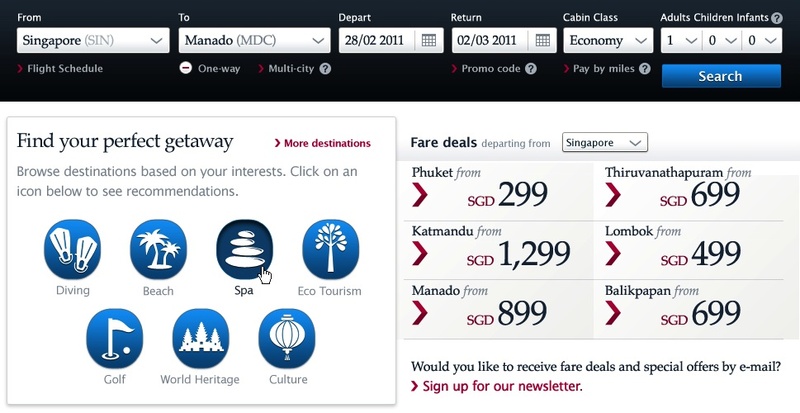 Live homepage as at Feb 2013, featuring a single-line flight search form, destination information, and browsing by specific interests. 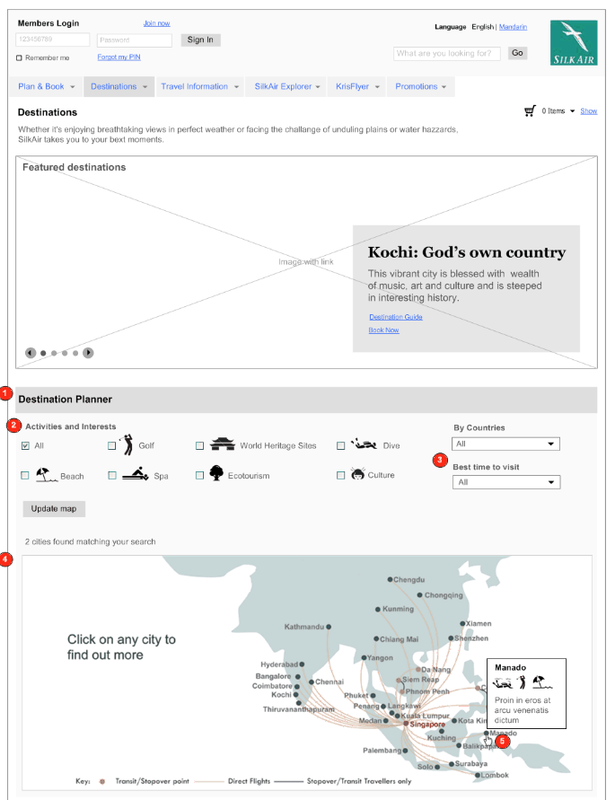 Alternatively, “Destinations” could be browsed with a route map. Each location had a content page with photography, info on local highlights, up-to-date data such as weather conditions, and user-generated content from a complementary SilkAir Explorers campaign. From there, it was easy to book a flight immediately.